The web is an ocean of knowledge and creativity. We help curious minds curate and consume their digital world. 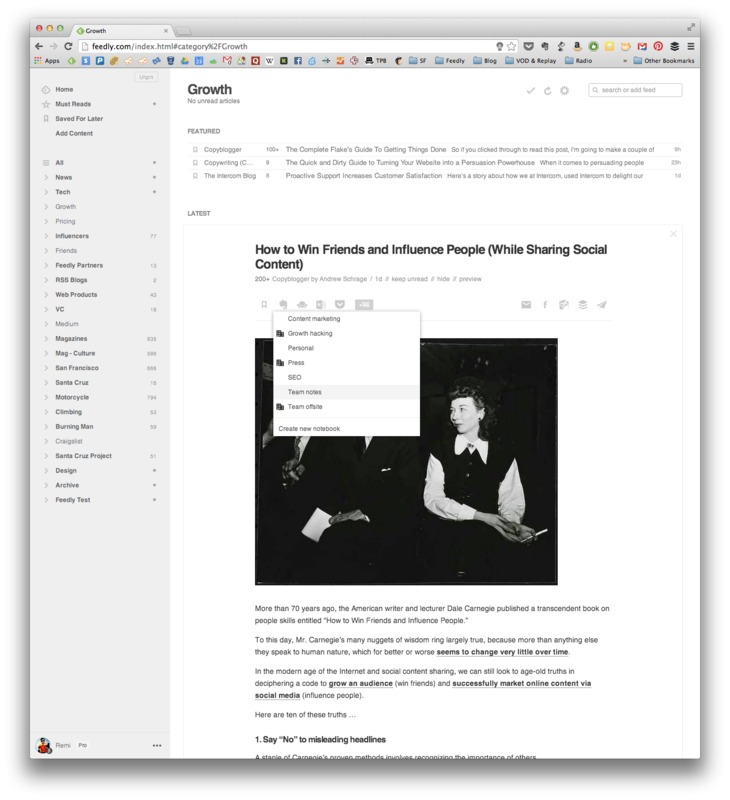 Feedly is a better way to organize, read and share the content of your favorite sites. 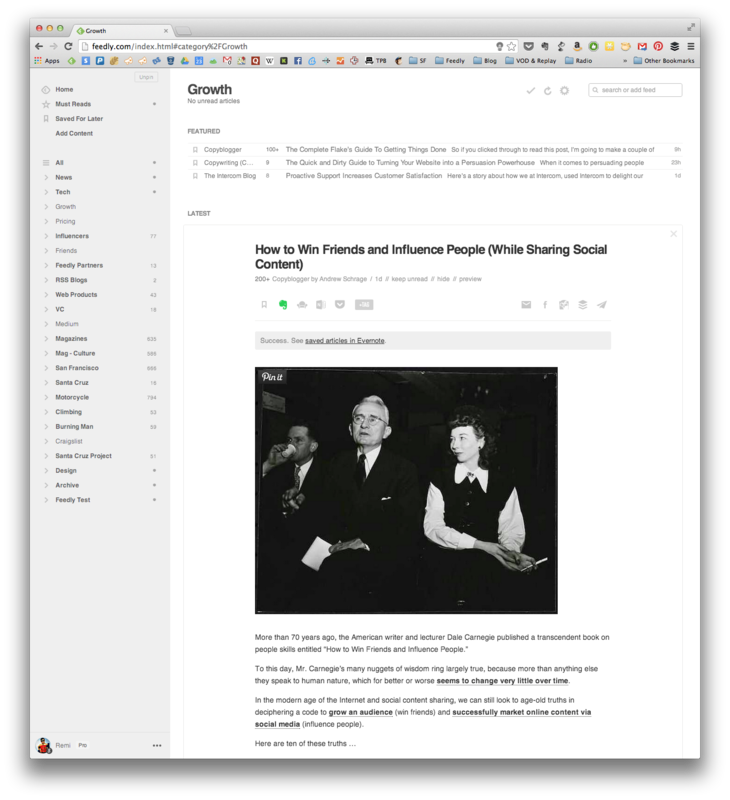 Easily save articles across devices or share them with your friends on Twitter, Facebook, Google+ or LinkedIn. 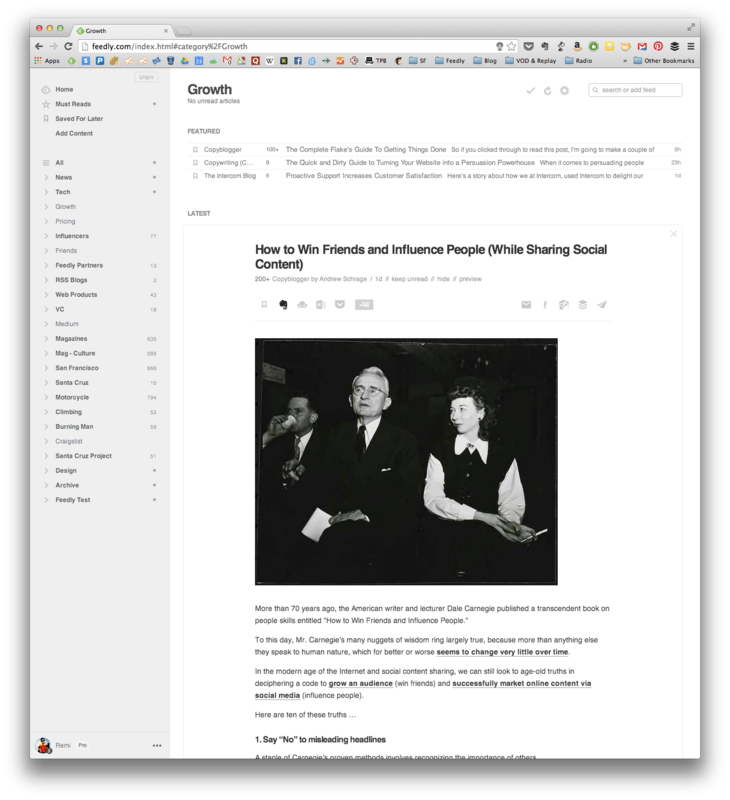 Directly or via Buffer, Pocket or Instapaper. 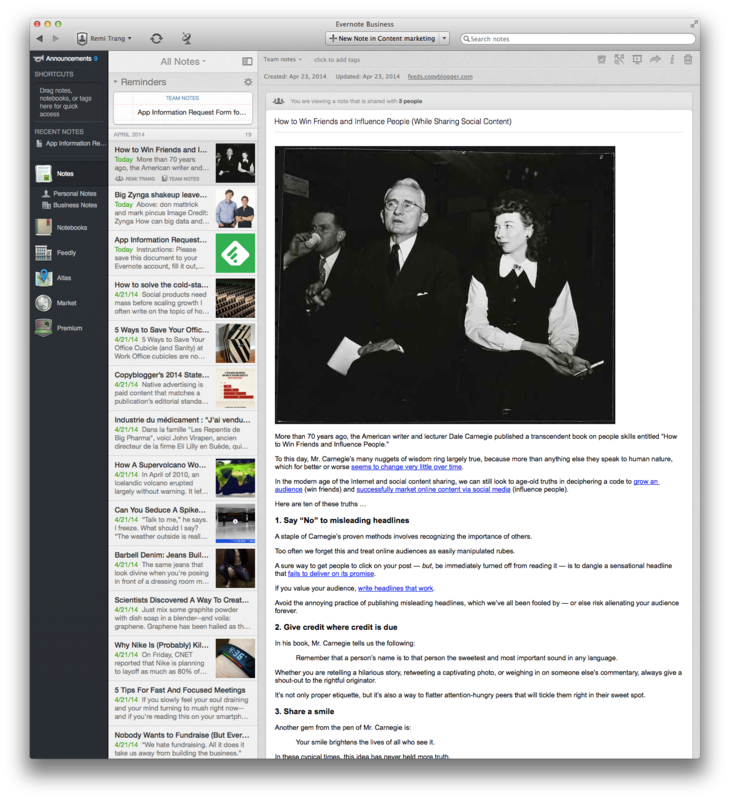 You can add feedly to all the devices you love. Your phone, tablet and computer are always be in sync. If you run into an issue or have a question and need support, you can reach us at care@feedly.com. We try to respond to all emails within 24 hours. Evernote: One-click save to any of your personal or Evernote Business notebooks.